From the author of the New York Times bestseller All the Bright Places comes a heart-wrenching story about what it means to see (and love) someone for who they truly are. Everyone thinks they know Libby Strout. I know the part I want to play here at MVB High. I want to be the girl who can do anything. Once dubed 'America's Fattest Teen', she is only seen for her weight. Not the girl underneath. Since her mum's death she's been picking up the pieces in private, alone with her heartbroken father. But now, Libby is ready. She's ready for high school, for new friends, for love and for every possibility life has to offer. Everyone thinks they know Jack Masselin too. Yes, he's got swagger, but he's also mastered the art of fitting in. What no one knows is that Jack has a secret: he can't recognize faces. Even his own brothers are strangers to him. He's the guy who can re-engineer and rebuild anything, but he can't understand what's going on with the inner workings of his own brain. When Jack and Libby meet, they discover that the more time they spend together, the less alone they feel. 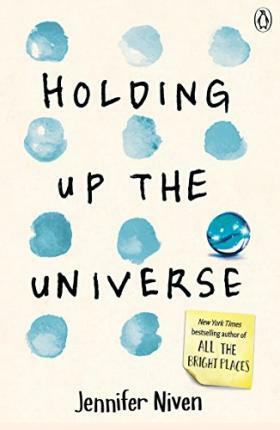 Jennifer Niven is the author of the New York Times and international bestsellers All the Bright Places and Holding Up the Universe. She has also written four novels for adults, as well as three non-fiction books and the screenplay for the movie of All the Bright Places. She grew up in Indiana and now lives in Los Angeles. For more information, visit jenniferniven.com.